You know you have done a good workout when you’ve got blisters on the sole of your feet because of the crazy amount of jumping jacks and scissor legs. My legs are numb, my back is aching from the crunching twists and all the jabs. Body combat is sure taking its’ toll but so worth it. Even though the capoiera routine makes me look like a bewildered nut case on the search for something (probably chocolate). It ain’t pretty but my thighs will be. Eventually. All I need now is a good feet rub. Anyone? 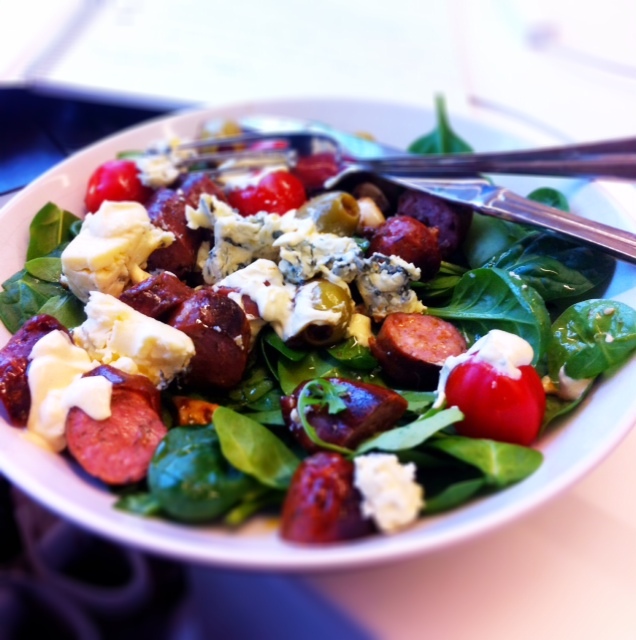 Lush salad for lunch by my desk today: spinache, saint Agur chees, salsiccia, tomatoes, olives and some marinated garlic. Stinky good stuff! 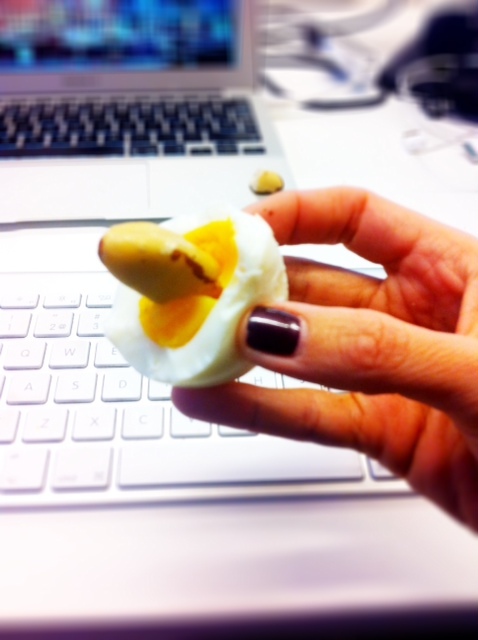 My colleagues are not as impressed over my snack options as I am. They go for sweets. I go for proteins. Smelly proteins. And Brazil nuts. I love how spotify “spot” my kind of music and send me little love messages saying “listen to this, you will love it…” And I do! My taste is out of this world if you’d ask me. Listen to this great French gem and start nodding your head to his version of Seven Nation Army. You know you want to! The video is a looker as well. A seven nation army couldn’t hold me back right now. Totally pepped, but totally knackered.